Mr. Septic - Septic pumping, septic system installation and design in Ottawa, Metcalfe, Greely, Osgoode, Manotick, Vernon, Russell and surrounding areas. Professional septic service, with no hidden charges. Providing Septic tank pumping, septic system installation, designs, repairs and inspections. Fully Licensed septic system Installers, inspectors and designers. Licensed by the Ontario ministry of the environment. ​Homeowners across Ontario trust Mr. Septic because we take septic systems very seriously, ensuring that the job is done right. ​Mr. Septic's licensed professionals will help you with any of your service needs. Setting the standard in the septic service industry. At Mr. Septic Inc. we are committed to providing the highest quality service in the industry. If you're looking to have your septic tank pumped out, installing a new septic system, or maybe your looking to have an existing septic system repaired or replaced. Give Mr. Septic a call and one of our septic system specialists will be happy to assist you. At Mr. Septic we are committed to doing the job right. We take great pride in our work and respect the trust you place in us. 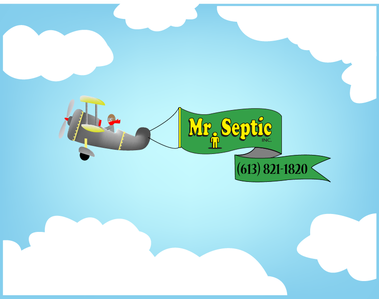 Mr. Septic is fully licensed and ready to help you with your septic needs. For fast friendly service, give us a call today. At Mr. Septic we specialize in septic systems. Whether you're looking for a septic system installation, septic system design, septic repairs or to have your septic tank pumped out. We have you covered! Give us a call for fast friendly septic system service.